In October, Grand Pacific Resorts hosted four travel bloggers and their families in Carlsbad and Coronado as part of a media campaign to drive awareness to the destinations, resorts, and two important causes. The tour included a scavenger hunt during which bloggers competed to raise money for the Movember Foundation and Send Me On Vacation. In the end, the teams tied and both non-profit organizations received a $1,200 donation from Grand Pacific Resorts. The four-day media event included popular bloggers with a combined influencer reach of more than 50,000 families. Grand Pacific Resorts invited the bloggers to experience the timeshare lifestyle at Coronado Beach Resort in Coronado, Carlsbad Inn Beach Resort & Hotel in Carlsbad, and Grand Pacific Palisades Resort & Hotel, also in Carlsbad. Vanessa McGill from SanDiegoVille, a San Diego-based lifestyle publication, says, “Coronado offers visitors a little oasis within Southern California, and Coronado Beach Resort captures its spirit perfectly with a breezy, relaxed atmosphere and prime location across from the Hotel Del. 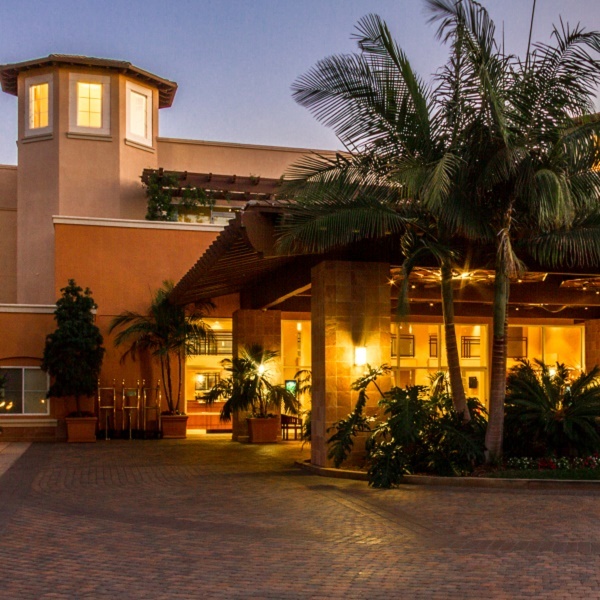 We enjoyed the amenities and being surrounded by Coronado’s bustling downtown.” Read more about SanDiegoVille’s staycation at http://bit.ly/1OzLVF2. In between dining at some of Coronado’s most iconic restaurants, Lewis joined Stephanie Sheaffer from Tuscontopia to raise money for Movember, a foundation that is committed to men’s health. The charity was a natural fit for our GPR Cares social responsibility program, as vacations are elemental to emotional well-being. Watch Mick, a Grand Pacific Resorts associate and Movember supporter, present the donation at http://bit.ly/1S4q7ix. Two other bloggers, Allison Waken from All for the Memories and Heather Riccobono from Brie Brie Blooms, competed in the scavenger hunt on behalf of Send Me On Vacation. Grand Pacific Resorts partners with Send Me On Vacation to provide two breast cancer survivors with life-changing vacations each year; the October donation will send a third survivor and her sister on vacation in 2016. Hear what a vacation means to Elle in light of her life-threatening illness at http://bit.ly/1LWIYKF. Grand Pacific Resorts creates experiences worth sharing for more than 70,000 owner families and tens of thousands of loyal guests each year. Based in Carlsbad, California, the resort management company tailors its services to preserve the distinctive experience offered by each destination. Owners and guests vacation with Grand Pacific Resorts year after year because they appreciate the team’s heartfelt service culture and passion for hospitality. For more information, visit www.grandpacificresorts.com.